Our company provides quality oriental rug cleaning service in location surrounding Kuala Lumpur and Selangor, Malaysia. These oriental rugs improve the appearance of the house and provide some insulation. 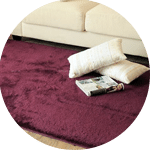 People who get rugs often take a lot of time and energy to clean their rugs, because they believe they can do their job well. Most people don’t know that by cleaning the oriental rugs themselves, they may do more harm than good. The following paragraphs illustrate some of the reasons for opting for our oriental rug cleaning service. Over time, dust accumulates in dust along with dust mites. The way you clean rugs will probably remove the surface dust from your rugs, but the mites will not be eliminated because these mites often bury themselves deeply in the threads. Mites are known to cause allergies such as asthma, colds and respiratory problems. Our rug cleaning companies send qualified technicians to clean the rugs so that the rug does not become a home for dust mites. Time is a very important factor but few people have too much time these days. Intense hours, a hectic lifestyle and a lack of energy often make people clean their rug superficially. Some people delay cleaning their oriental rug for months and when they finish cleaning the rug, they find that the rug is extremely dusty. Cleaning the rug alone can be dangerous for you if you have dust allergies. 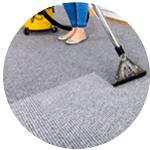 Our carpet cleaning service company ensure that the rug is cleaned for you so that you can enjoy the benefits of the clean rug without doing a lot of work. 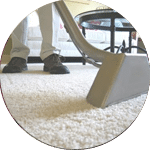 Vacuum machines are used to clean rug so as not to accommodate dust mites. Most home-made vacuum machines are not powerful enough to clean the rug properly. The powerful vacuum machines on the market are often expensive and not for everyone, because their use can be difficult. The vacuum machines and other equipment used by our carpet cleaning service company are powerful and do their job well. While we charge taxes for their cleaning services, you don’t have to worry about paying a large sum to invest in a powerful vacuum cleaner. Expensive rugs, like oriental rugs, must be cleaned in a specific way so that they are not damaged. Our cleaning service experts are trained to clean the most expensive rugs so that they look good and also be durable. Contact our customer and sales support team via a call or drop us a message for more information and to get a FREE quote for oriental rug cleaning service right now! I have a special request for my Oriental rug cleaning service, can this be done? 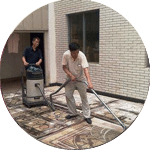 We understand that sometimes our customer have special requests for Oriental rug cleaning service with regards to timing and other matters such as stain removal. In this scenario, you can contact our customer representative team at 017-232-6491 to discuss your Oriental rug cleaning request. 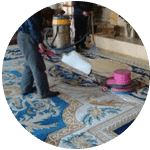 Our customer service team will reply to your request within a few working hours to find out more and discuss further about the Oriental rug cleaning service that you require. Subsequently, we will issue you a quotation and an invoice for the Oriental rug cleaning service. Our Oriental rug cleaning service is available in Peninsula Malaysia from Kuala Lumpur, Selangor, Ipoh, Johor, Malacca and Penang. Speak to our team to enquire more about the Oriental rug cleaning service that we provide in your area.